Cruising craft beer lovers rejoice! 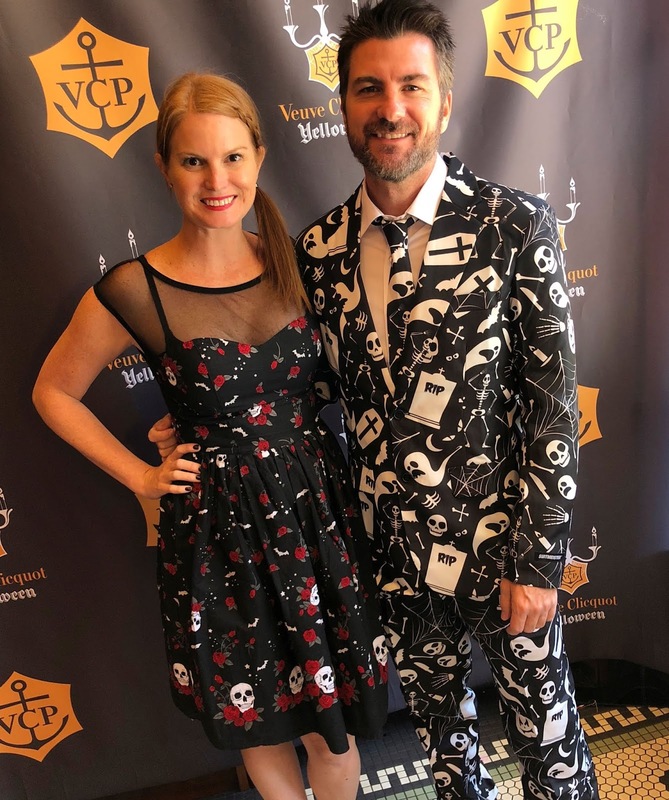 On Sunday, my husband Gabe and I headed down to Miami for a special announcement from Carnival Cruise Line on board the Carnival Magic regarding their craft beer line. 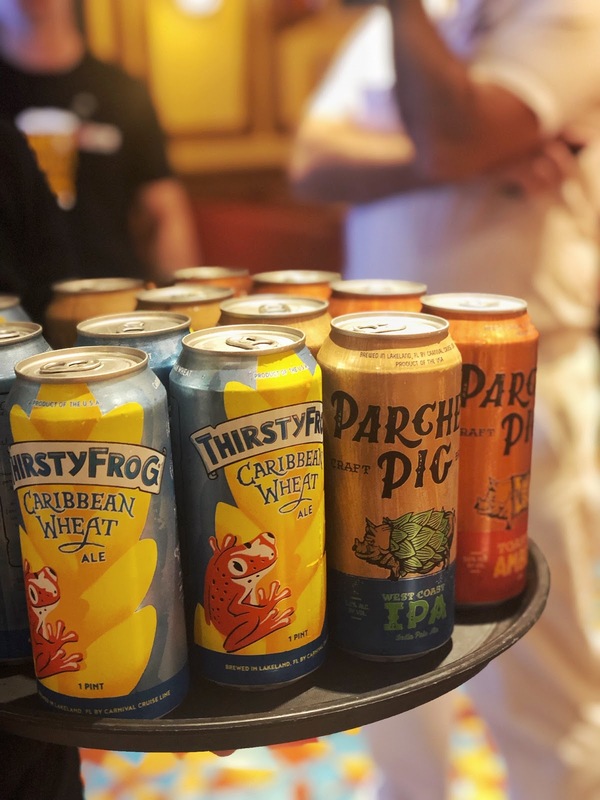 In 2016, the Carnival Vista was named the first cruise ship to have a RedFrog Brewery & Pub on board (her sister ship the Horizon also has one). This is a full working brewery where they brew their beer while at sea. When I sailed the Vista in 2017, I had the opportunity to visit the brewery and try their delicious brews firsthand. Although I am a wine drinker, there is nothing better than a frosty glass of beer on a hot day and while on a week long Vista sailing, I found myself at RedFrog Pub & Brewery daily and even bought a growler of beer! Carnivals craft beers became famous among cruising craft beer lovers. 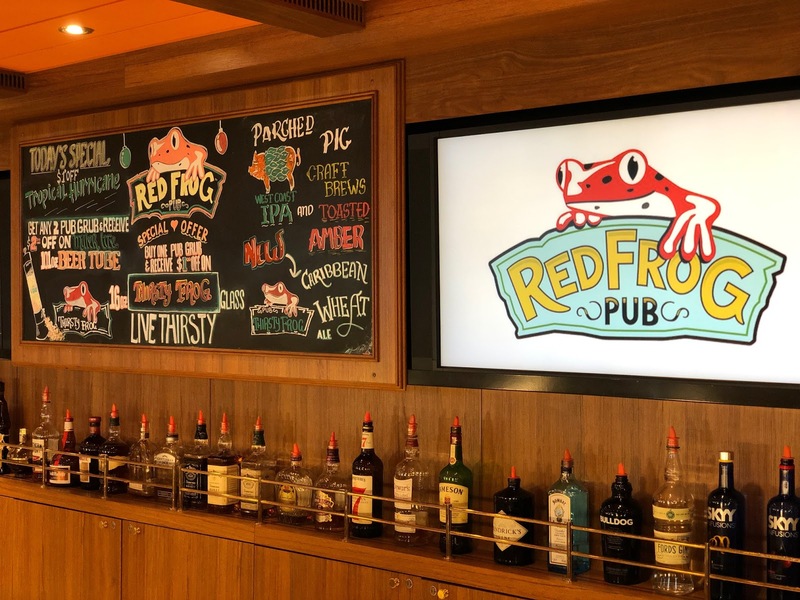 However, when you went on a ship that didn't have a RedFrog brewery on board, you weren't able to indulge in their delicious brews. So what does the RedFrog Pub & Brewery have to do with the announcement made on the Magic? On Sunday March 17th, Carnivals three most popular craft beers will be available fleet-wide, on all 26 ships! This includes the Parched Pig Toasted Amber Ale, Parched Pig West Coast IPA and Thirsty Frog Caribbean Wheat Ale. 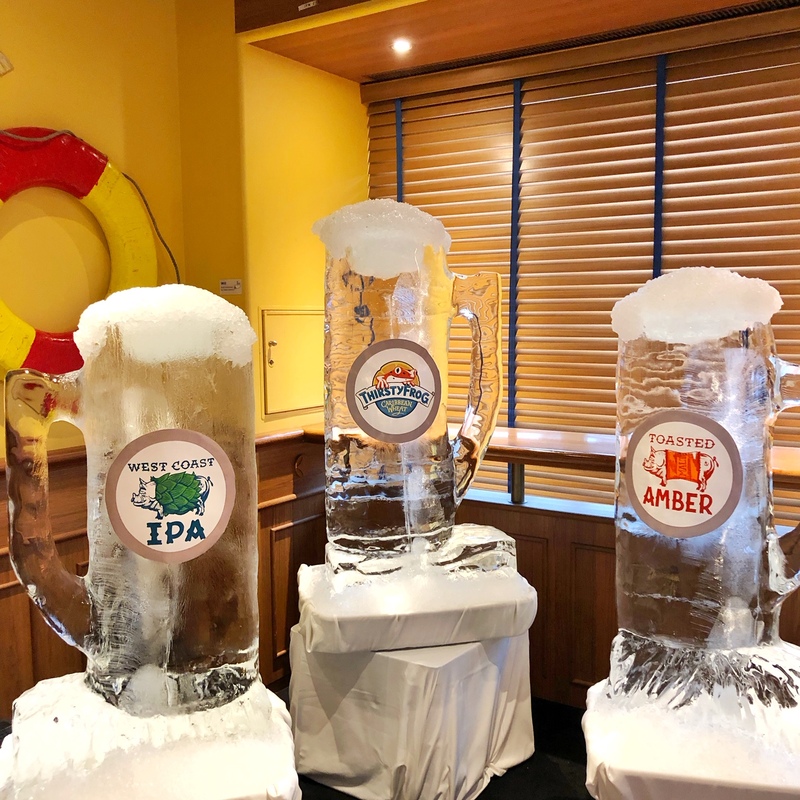 Not only was Carnival the first cruise line to have a brewery on board, it is also the first cruise line to keg and can their own craft beers. If you are familiar with the Florida craft brew scene, you know who Brew Hub is. The Lakeland facility will be handling the production of canning and kegging the three beers for Carnival! 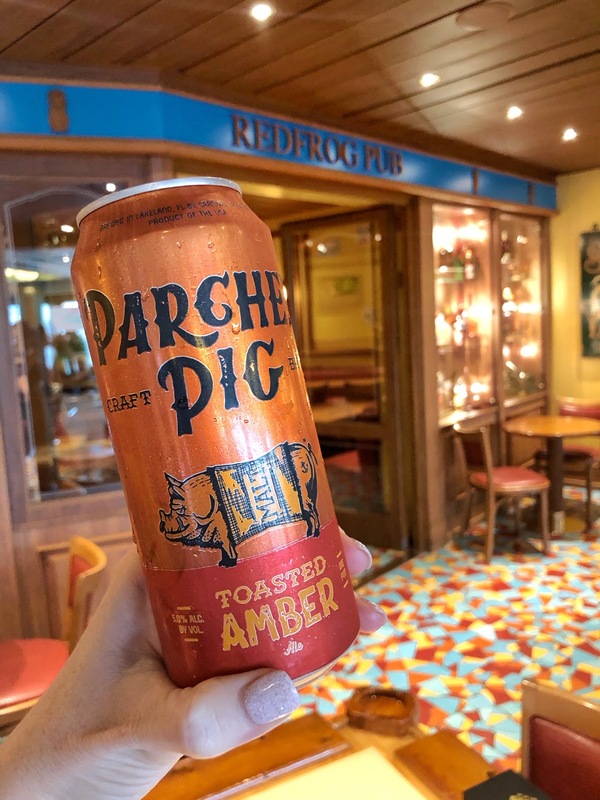 So next time you are on a Carnival Cruise Line, be sure to order yourself a Parched Pig or Thirsty Frog craft beer (I am a huge fan of both the Toasted Amber and the Caribbean Wheat)! Cheers! Thank you to Carnival for hosting us in Miami for this press announcement. I was not required to write this post and all opinions are my own. When you think about Spring Break in Daytona Beach, a lot comes to mind (especially if you grew up in the 90's like me - hello mtv!). 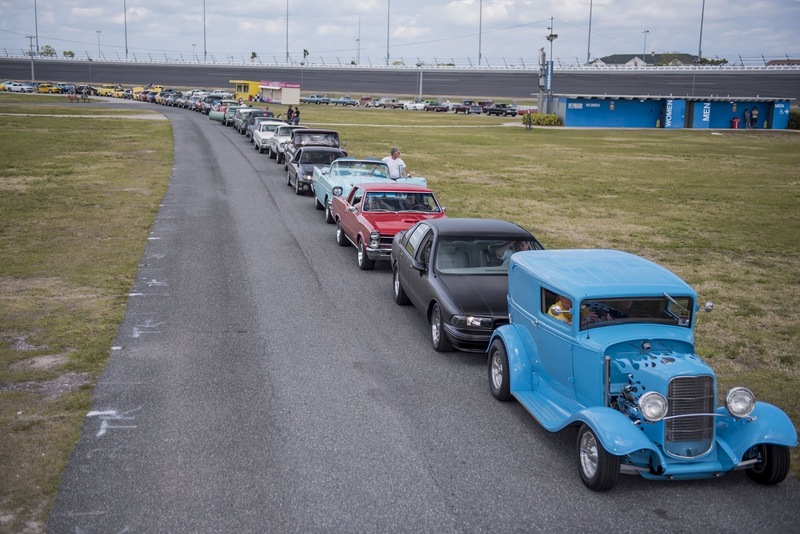 This weekend, things will go back in time full of classic cars and doo wop music at the 30th running of the Spring Daytona Turkey Run. This is the Spring version of their famous Fall Turkey Run. I am sending my nieces this year so they can see the Dock Dogs, a fun new feature taking place at the Spring Turkey Run. 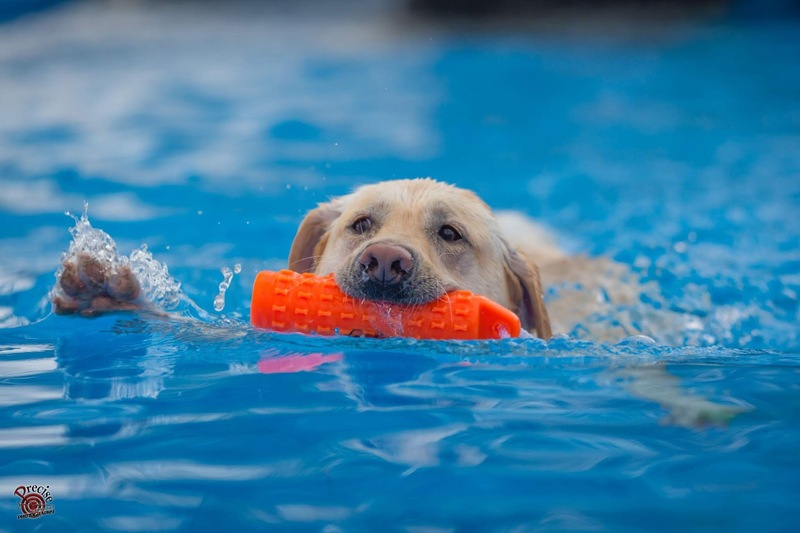 Dock Dogs, is the world's premier aquatic canine competition. Yes you read that right! More information on these talented pups below! 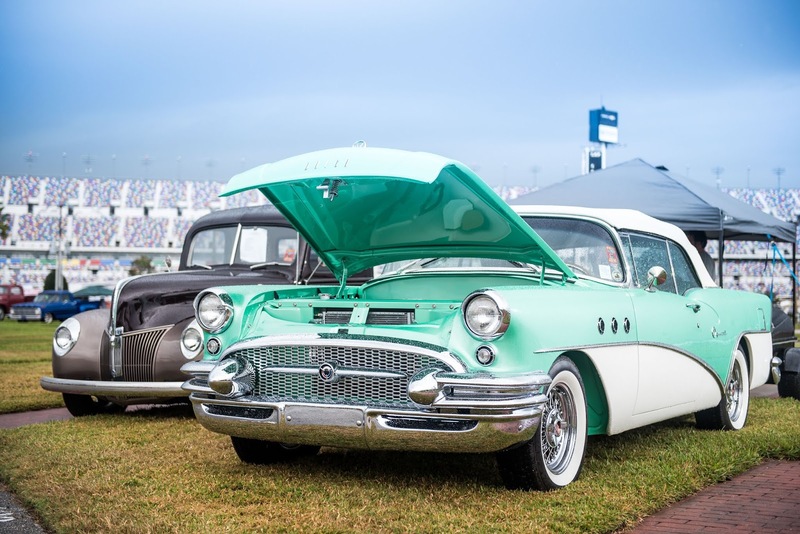 Aside from talented canines, the headline of this event is classic custom cars, a massive swap meet, arts and crafts, delicious food, a beer festival and live music. 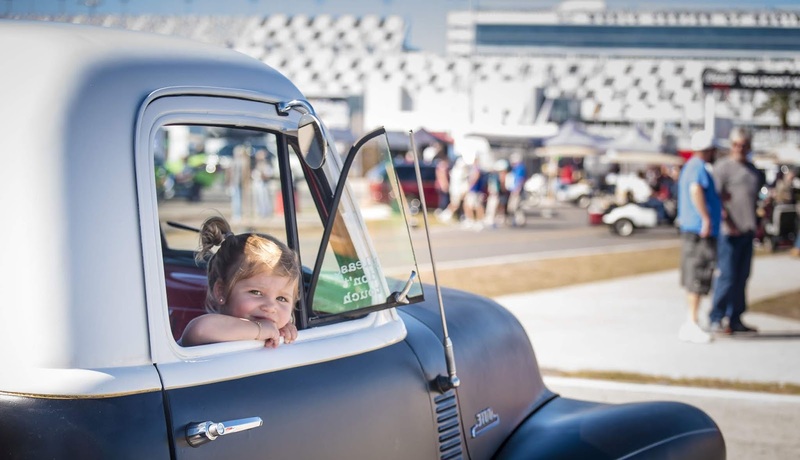 The family friendly Spring Daytona Turkey Run takes place at Daytona International Speedway from March 22nd - March 24th and is presented by White Diamond, sponsored in part by Spectrum. Admission is $10 Friday and Saturday and $5 on Sunday with free parking ((children under 11 are free). Visit www.turkeyrun.com for a full schedule. Kids and adults alike will have a blast at the world’s premiere aquatic canine competition. 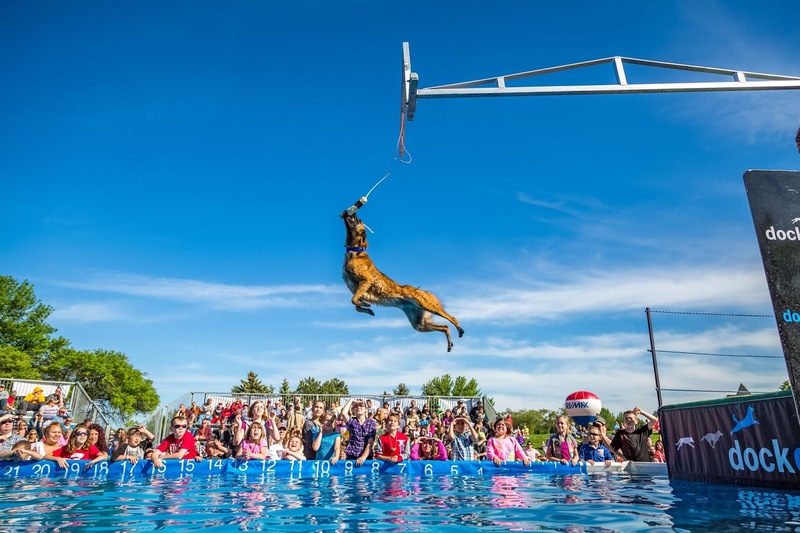 Set up inside the infield of the Daytona Speedway, dogs of all sizes will jump from a 40’ dock into a 40’ pool and compete in Big Air®, Extreme Vertical, & Speed Retrieve® competitions. Competition dates are March 23rd and March 24th. Taste test local, craft and domestic beers on Saturday, March 23rd from 12PM-4PM! Beer tasting tickets are $5 for 4 samples and $10 for 10 samples. Tickets can be purchased in advance or onsite. Advanced tickets include special Hops and Hoods parking. Spending quality time with a kid is the greatest gift we can give them. 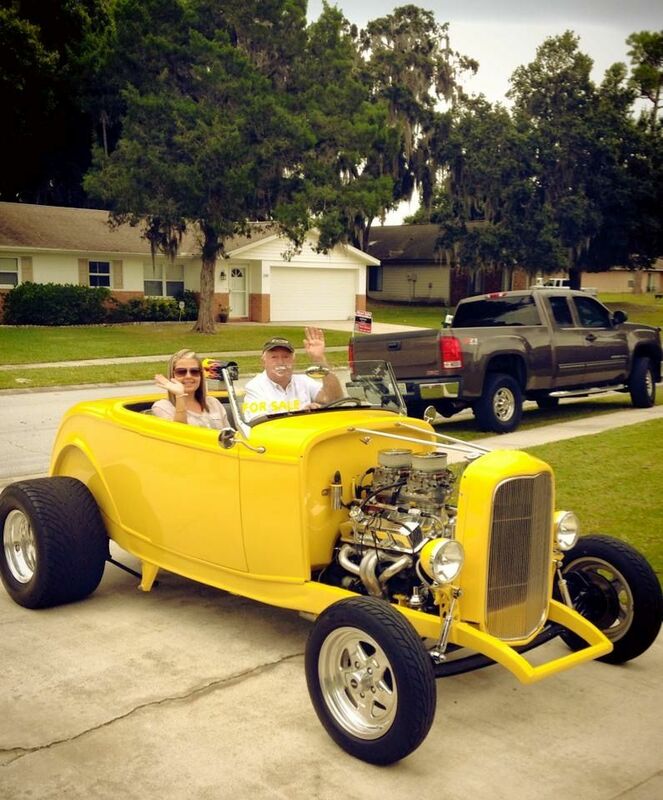 And sharing our appreciation for collector cars is a great way to nurture their interest in a hobby that can be enjoyed together for many years to come. The first 500 kids to enter will get a special Turkey Run gift. There will also be a Play Zone at no additional charge, including bouncy houses, an obstacle course, carnival games and more! 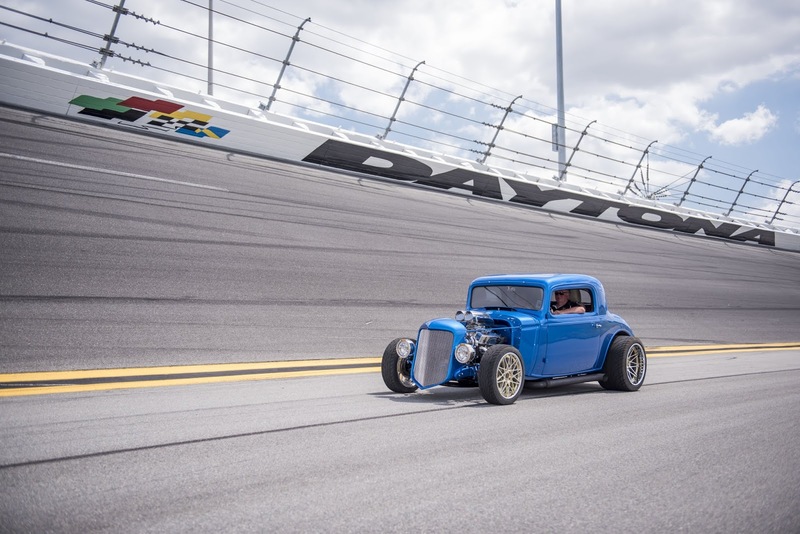 Registered show cars will enjoy a fun lap around the iconic Daytona International Speedway track on Sunday, March 24th at 2pm. This was a sponsored post by Turkey Run. All opinions are my own. 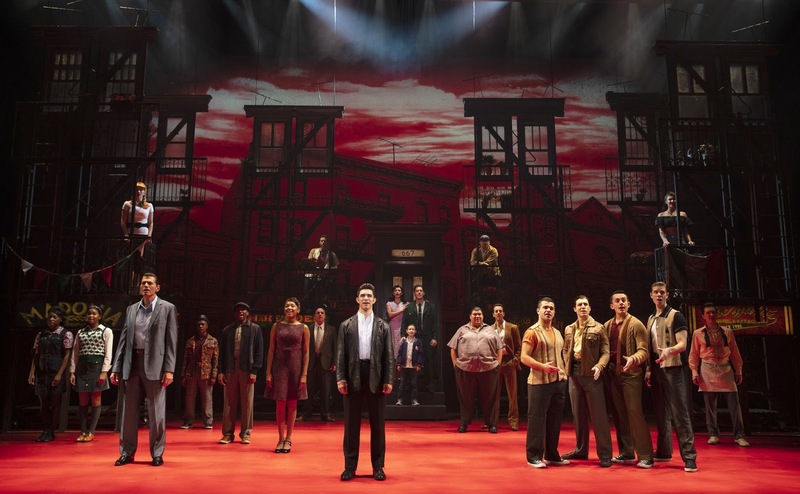 On Tuesday night, my husband Gabe and I went to see A Bronx Tale on Broadway at Straz Center in Tampa. It was a much needed date night out as I've been dealing with some health things that I will write about soon - along both of us being crazy busy at work. 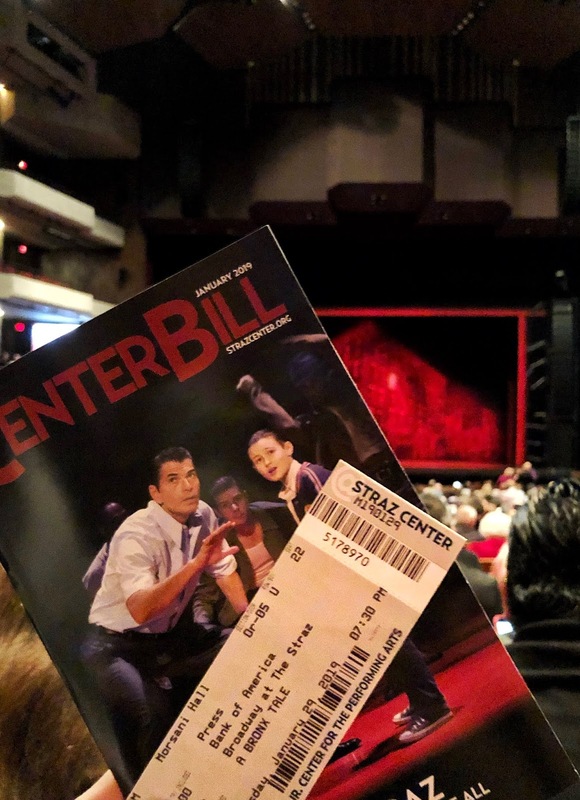 Having National Broadway shows less than 30 minutes from us is one of the things we love most about living in Tampa Bay. A few of my co-workers raved about A Bronx Tale so we were excited to see it. Especially being it's called "Jersey Boys meets West Side Story". The second the show began, Gabe looked over at me and said "this is the intro of Jersey Boys" (we've seen Jersey Boys twice on Broadway). Something I didn't realize ahead of seeing the show was that there was a movie adapted from the original play. 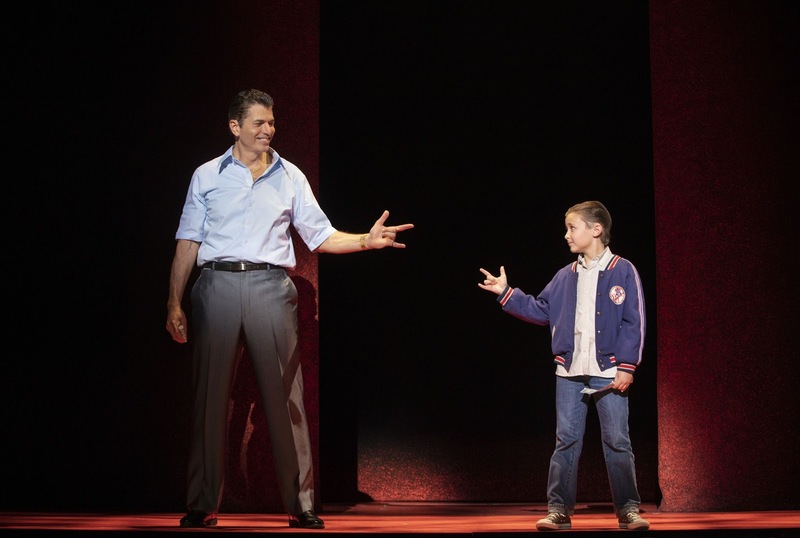 A Bronx Tale was written in 1989 and during the original Off Broadway, Robert De Niro came to see the show, he took it to the big screen in 1993, where he starred in and directed the movie. A Bronx Tale was his film directorial debut and he is now the Director of this Broadway hit. The musical takes place in the 60's, when everything was in the Bronx was all about Joe DiMaggio and Babe Ruth. A Bronx Tale story is about a young boy named Calogero (also known as C), who gets taken under the wing by Sonny, the neighborhood mob boss. The story follows C as he grows up to be a teenager, having to choose the life he wanted, between his straight-arrow father he loves and the mob boss he’d love to be. The story took a Westside Story twist when he fell for his African-American classmate, Jane. 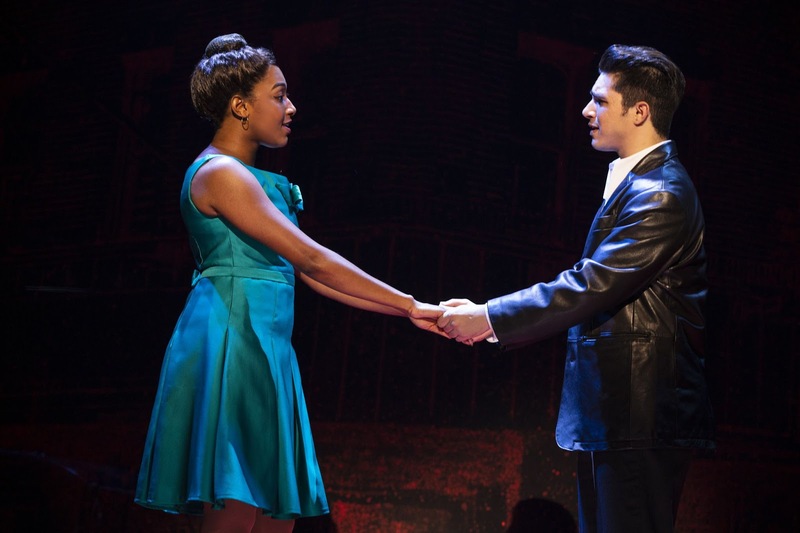 A Bronx Tale is an unforgettable story of loyalty and family. 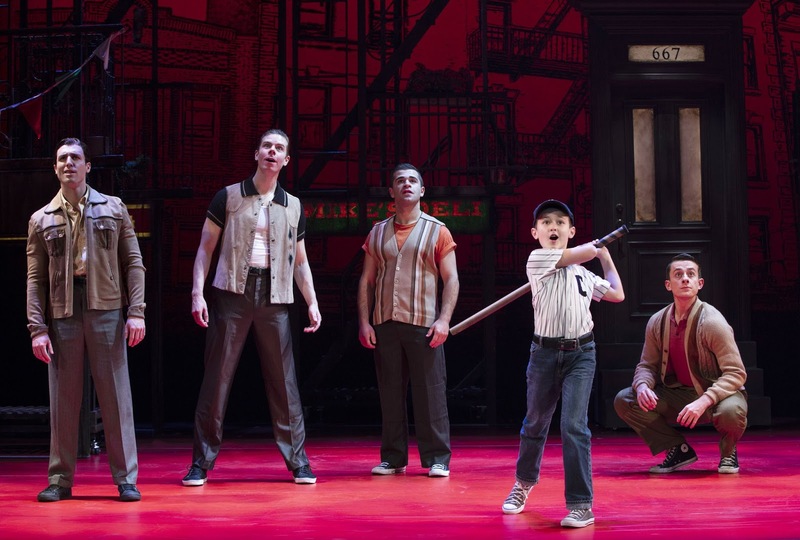 A Bronx Tale will be in Tampa through this Sunday, February 2nd. Click here for tickets! In 2011, I decided to make the move from Daytona Beach to Tampa. I found a job, which I thought was going to be temporary (7+ years later not the case at all) and over the first six months while my relocation was in process, I split time between our Orlando and Tampa offices. My first day on the job, my bosses took me for lunch at The Ravenous Pig. This was back when I lived the life of only knowing chain restaurants. 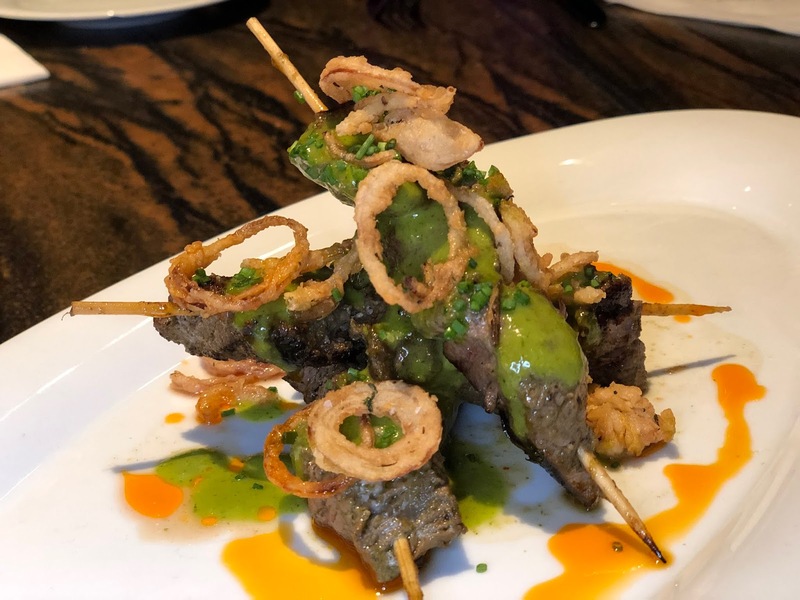 The Pig quickly became my favorite Orlando restaurant and I still try to dine there whenever in town. Why am I sharing this piece of history with you? Fast forward to December 2018. 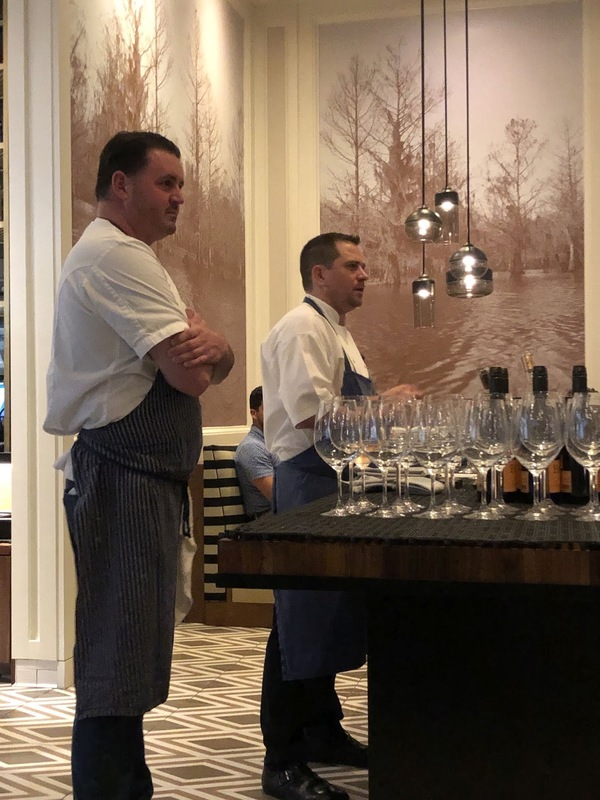 I was invited to a Chef's pairing dinner at The Rez Grill, Seminole Hard Rock Tampa featuring the talented Frank Anderson, head of Culinary at Seminole Hard Rock Tampa and James Petrakis, Chef-Owner of The Ravenous Pig. 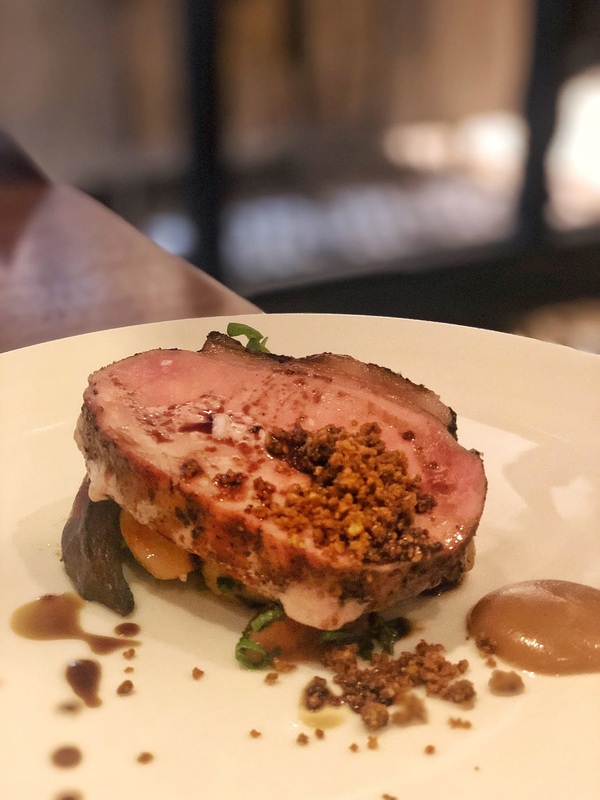 This dinner featured 6 courses, 3 created by each Chef, all with a pork themed. 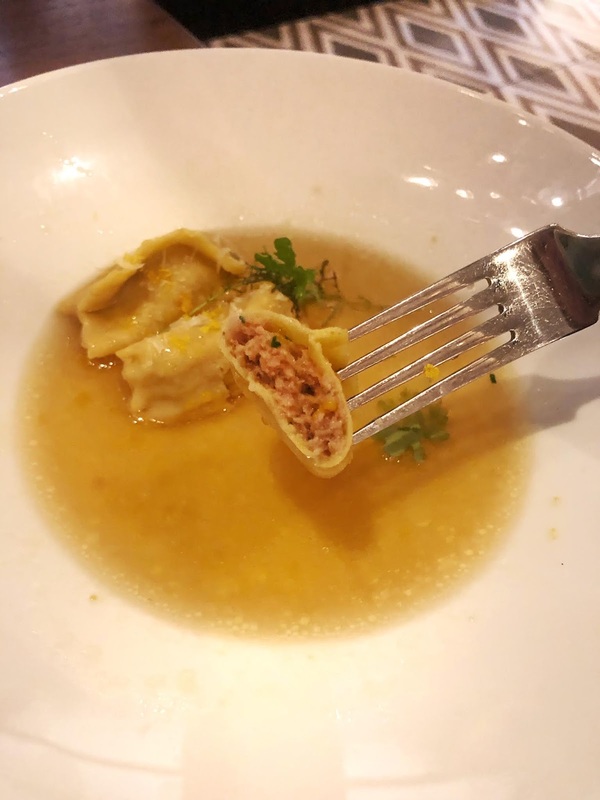 All 6 courses were paired with wine or a cocktail. To say I was excited for this dinner is an understatement. 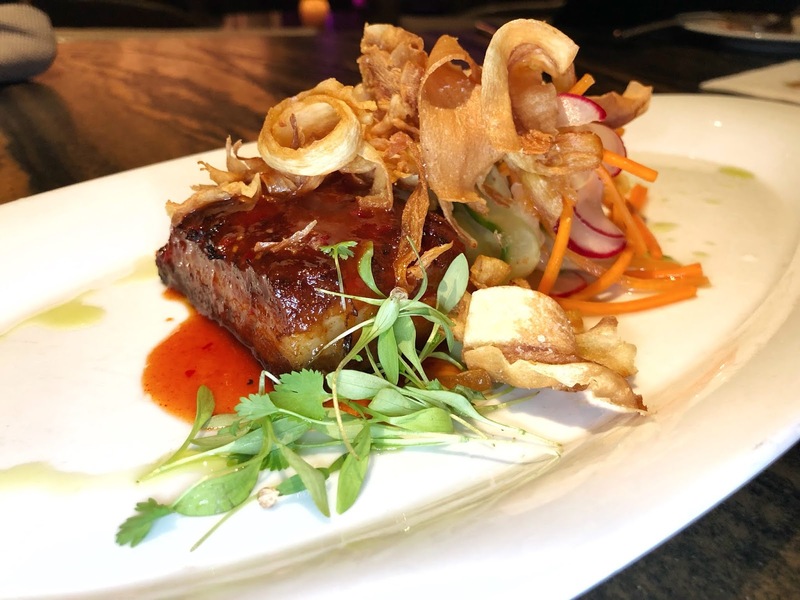 Ever since Chef Frank came on board to Seminole Hard Rock Tampa, I have been very impressed. 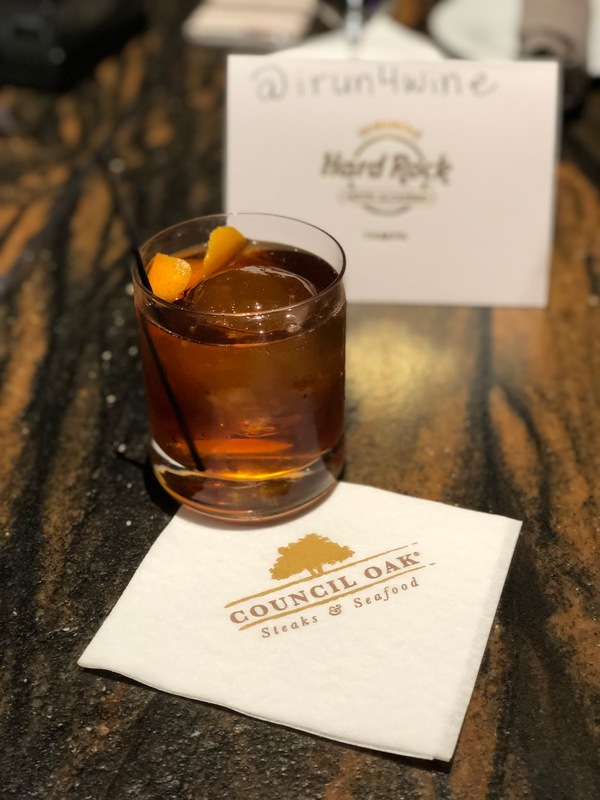 I have said it once before, and will say it again - he is doing amazing things not only for Hard Rock, but also for Tampa's thriving culinary scene. The price for this pairing was $99 a person. 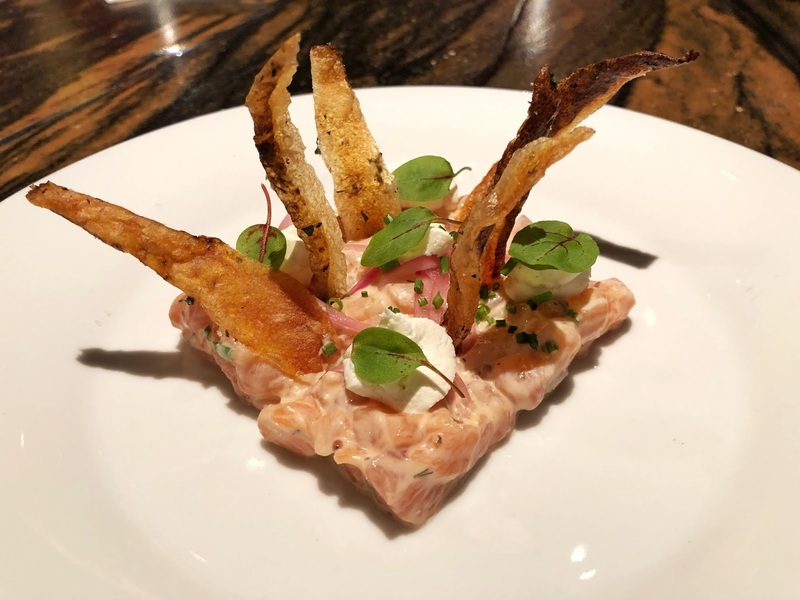 For 6 courses prepared by some of the best Chef's in Florida, all paired with drinks - that's a GREAT deal! 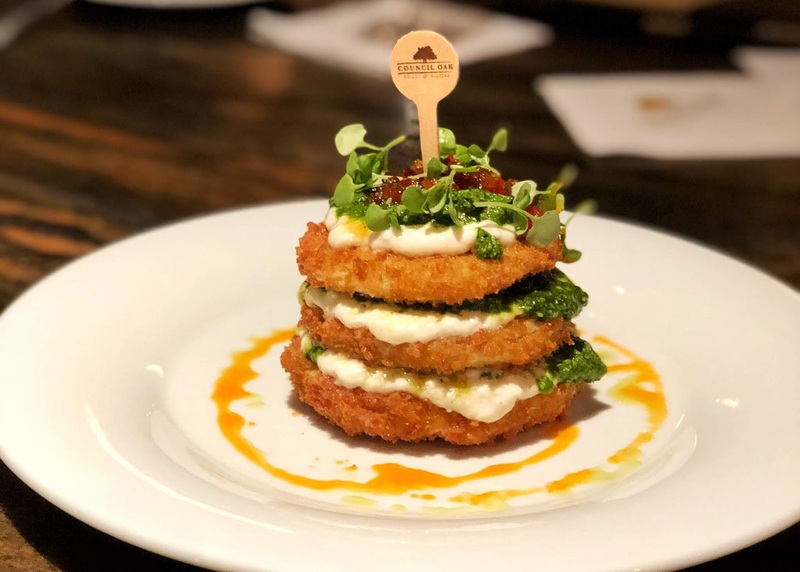 Here's a recap of the amazing dinner we had at Seminole Hard Rock Tampa. 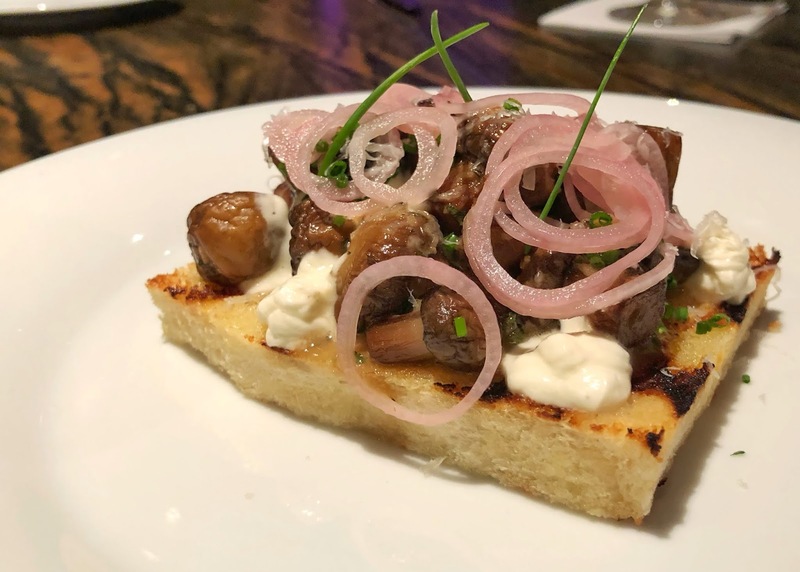 If I can say one thing and one thing only about this dish - Dear Chef Frank, please for the love of god put this on Rez permanent menu. Ironically my first meal at Ravenous Pig was a salad called the Farmer. This popular salad is changed seasonally and during that trip was the first time I was introduced to frisée. 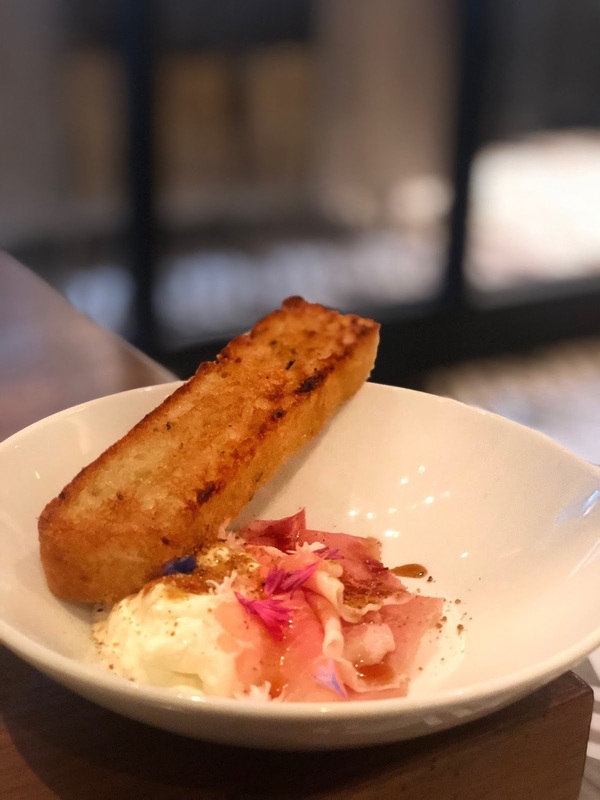 When I first saw the menu, this was the dish I was most looking forward to, and it did not disappoint. Seriously wishing I had a plate full of those pillows. 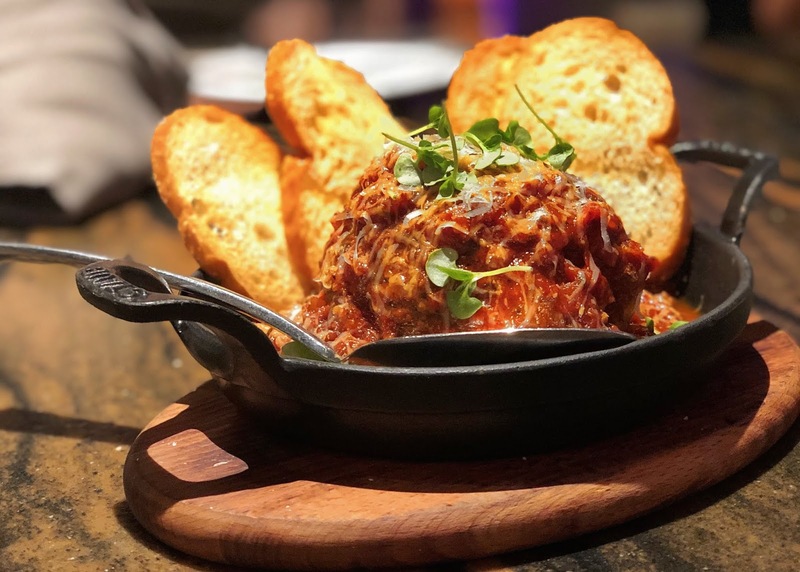 This dish was incredible. I loved every part about it! Oh Frito Pie! You had me at hello. I actually have served a dish similar to this at an event. 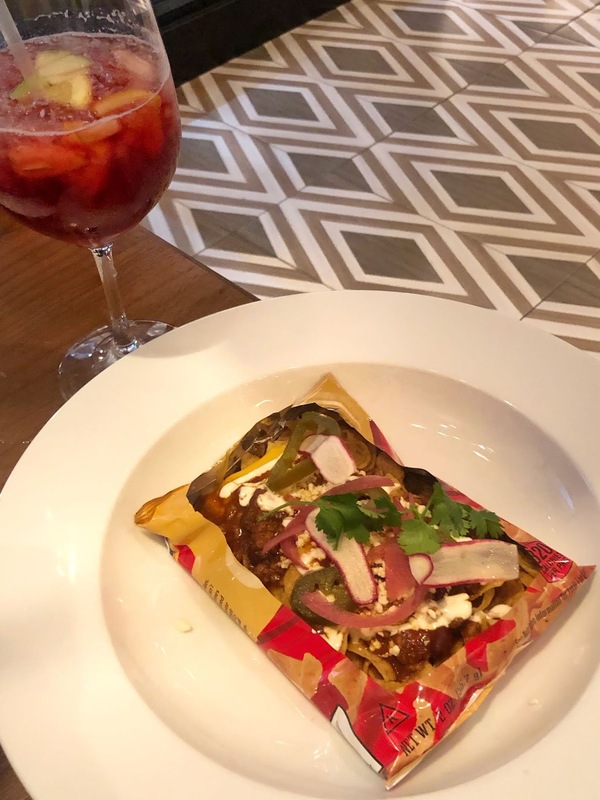 I love the fun play on the amazing chili, using the Frito bag as a serving component. 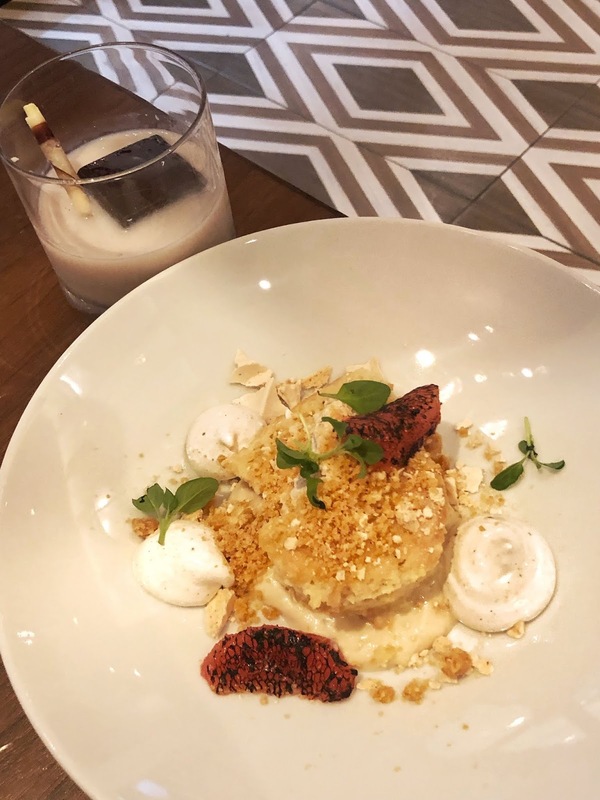 This was such a unique twist on Tres Leches and had so many flavors creating magic that you would never think worked well together. The Chef's telling guests what to expect from the evening. Growing up, my Dad would make homemade apple cider. It's my go to when I feel a cold coming on, nothing is more comforting than a warm glass of apple cider! We never bought store bought and it's very easy to make. I recently received a case of delicious Envy Apples. If you haven't tried these apples yet, I strongly encourage you to do so. Envy Apples were born using natural plant-breeding methods, crossing are a cross of Braeburn with Royal Gala apples. They are slow to brown once cut and are free from GMO's. They are one of the sweeter apples I have tried and have a truly great flavor. When I opened the case of apples, I instantly knew I wanted to make my Dad's homemade apple cider. While making it, I had a sudden craving for hot buttered rum. 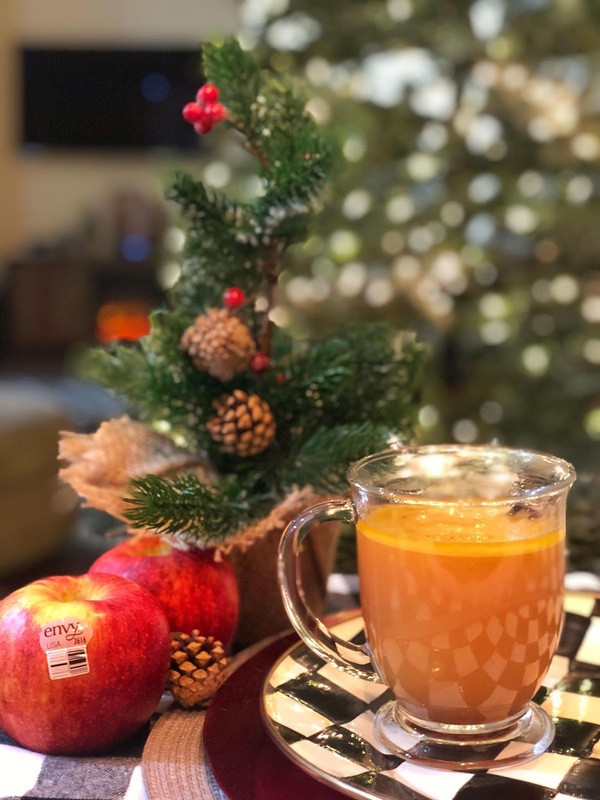 Hot buttered rum is made with apple cider and you can make this warm comforting drink with or without rum. My husband was stunned that I made this drink from scratch. 3. Mash the apples and oranges using a wooden spoon against the side of the pot to release flavor. Let simmer for another 30 minutes. Envy Apples Event in Tampa! Aprons Cooking School is located on the second floor of the Publix store - Shoppes at Citrus Park, 7835 Gunn Hwy in Tampa. The phone number is (813) 926-6664. The event is free and open to the public. Reservations are not required. 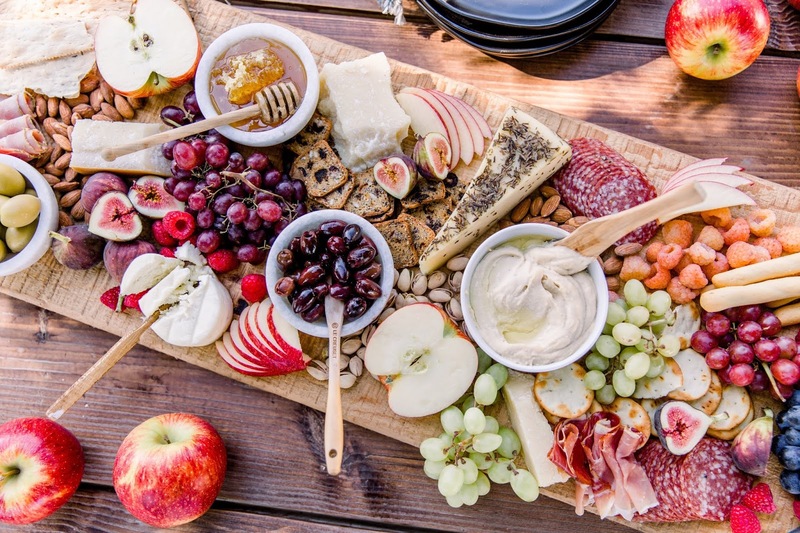 Envy Apples wants to teach you how to create the perfect Charcuterie board. Now through 12/31, you can enter to win one of fifteen $200 gift certificates to Williams Sonoma and a case of Envy Apples! After you enter the contest, you will receive a free download for a step-by-step guide helping you create the perfect spread. Click here to enter! This post was sponsored by Envy Apples through my partnership with Tampa Bay Bloggers. When I think back to Thanksgiving memories and traditions, one thing besides turkey's stick out - going to the Turkey Run in Daytona Beach to work with my best friend Keri. It was probably the most amount of fun I've ever had while working. Thanks to a family connection at the Turkey Run (from age 15-22), Keri and I we were given keys to a golf cart and rode around selling donuts and coffee to the multiple vendors in the massive swap meet. We were our own boss for the weekend, purchasing the donuts with our own money and deciding which hours we wanted to work hard vs. which hours we wanted to chase boys. I learned more about cars than most teenage girls could imagine by watching people trade and haggle at the Swap Meet. Every year, we purchased Christmas presents for Keri's Dad with our earnings. Along with the swap meet, the Turkey Run car show features more than 6,000 vintage, classic and custom, muscle cars, race cars and trucks on display and for sale. To this day, Keri's Dad is still restoring cars and selling them at the Turkey Run! This year the Turkey Run is turning 45 and like me, it has grown up a bit since we last met!! 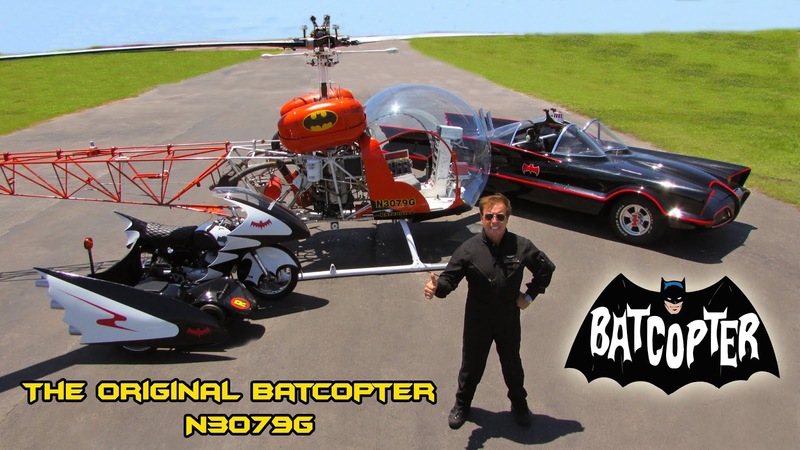 This family friendly event is the largest combined car show and swap meet in the U.S. 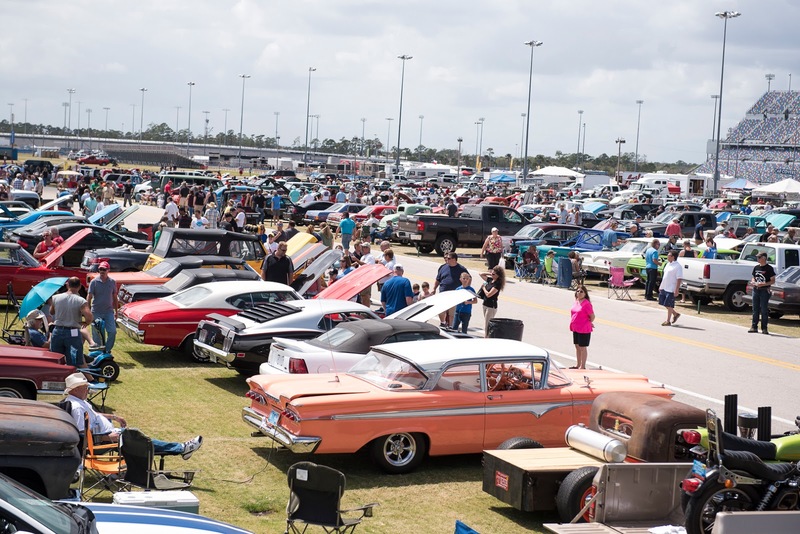 It's a four-day show that kicks off at 8 a.m. Thanksgiving day through Sunday, November 25th at the World Famous Daytona International Speedway. 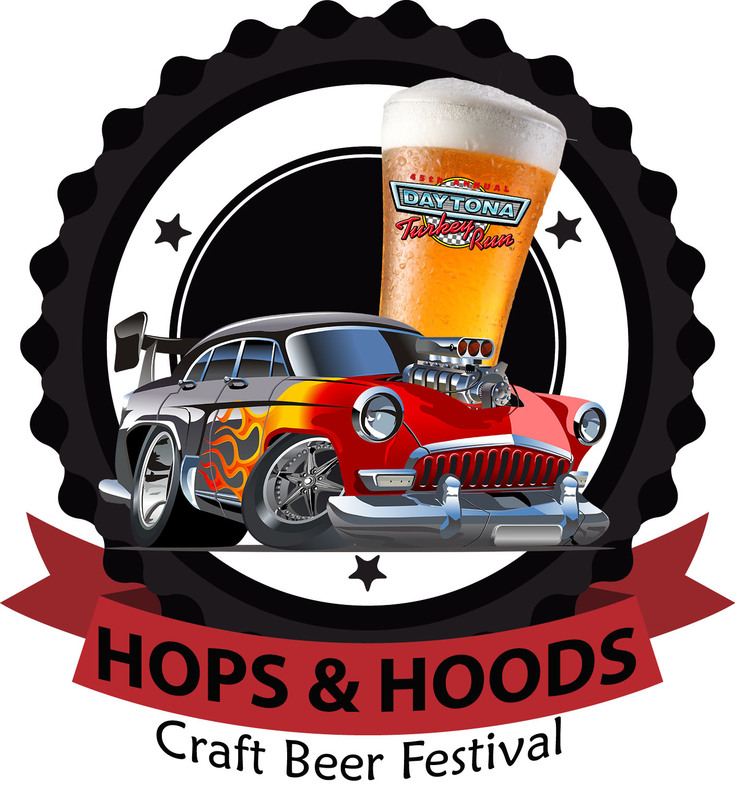 This year, the annual event is offering a lot of exciting new features in 2018 including a Hops & Hoods Craft Beer Festival. 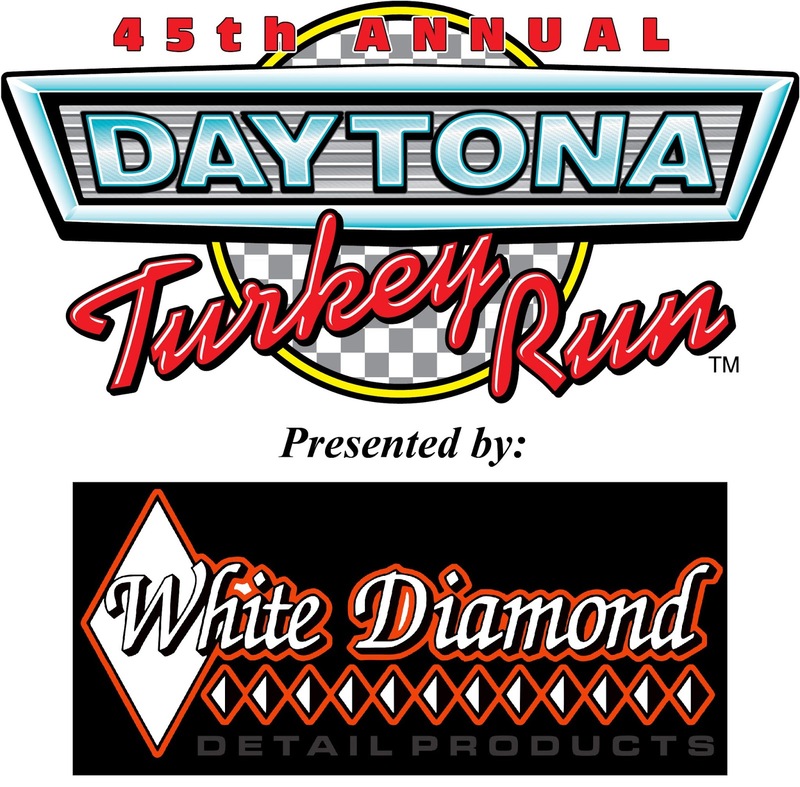 The 45th Daytona Turkey Run is presented by White Diamond and is sponsored in part by Mecum Auctions and Spectrum. Admission is $15 Thursday through Saturday and $10 on Sunday with free parking. Children under 11 are free. Show hours are 8 a.m. to 4 p.m. Thursday, Friday and Saturday, 8 a.m. to 2 p.m. Sunday. Free parking is available at the Daytona Speedway all four days. I want to share my Thanksgiving memories with a reader! I am giving away a pair of Turkey Rod Run tickets (valued at $15 each) on Instagram. Head over to my Instagram page to enter! Happy Thanksgiving week! My husband and I have been fortunate to visit New Orleans over 15 times since 2012 (I stopped counting after 15 visits). We've been in NOLA for every season and for multiple holidays. When we first decided to have a destination wedding in New Orleans, we wanted it to be during Halloween weekend in New Orleans, until we realized it's the most popular weekend to get married there and prices were sky rocket high. In 2016, we visited New Orleans the week before Halloween and attended the Boo's Krewe Parade. While there, we saw the city decorated for our favorite holiday. However, we had no idea what to expect while in town last week which happened to fall during the same time as Voodoo Fest. 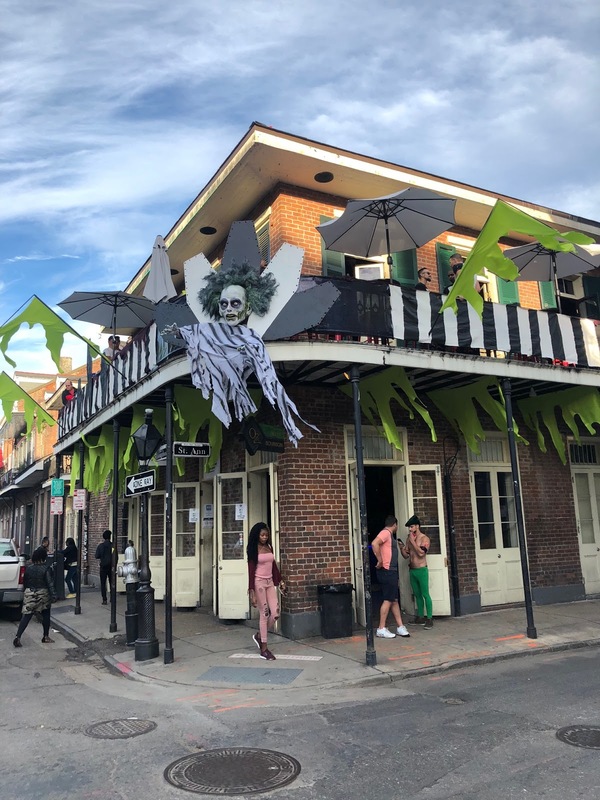 If you find yourself in New Orleans during the weeks leading up to Halloween, here are some suggestions on must see's! 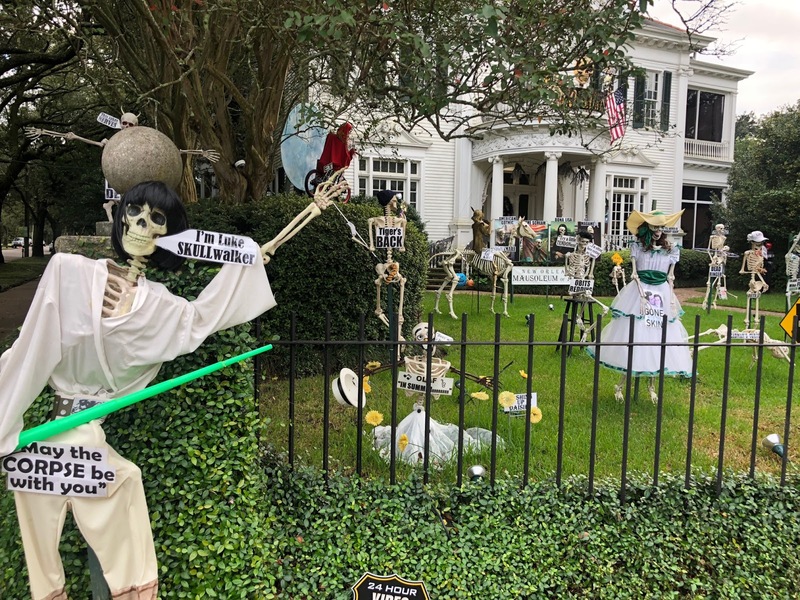 Take the St. Charles Street car up to State Street and you will find yourself in the middle of one of the most creative and humorous Halloween display's you will ever see. 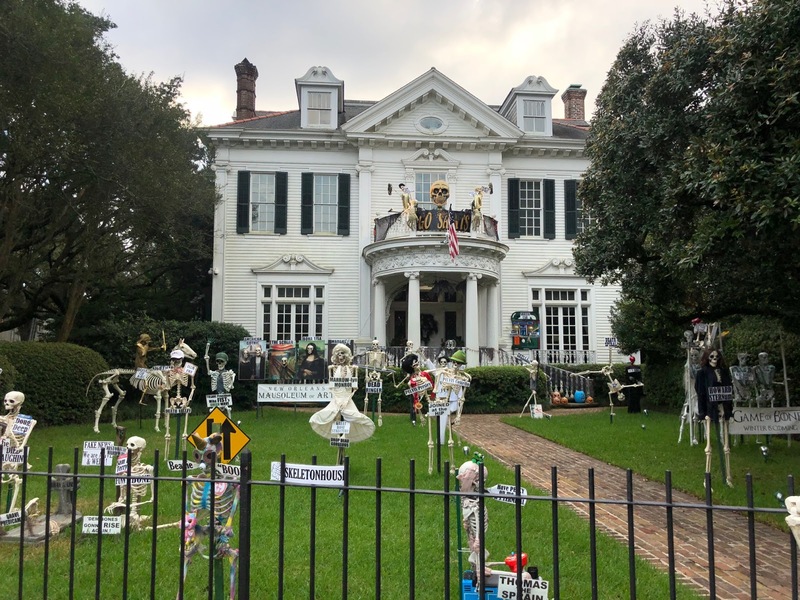 This mansion located at 6000 St Charles Ave, has displays that change over the years. I have to wonder what their Christmas decorations look like, or how large their storage shed must be. 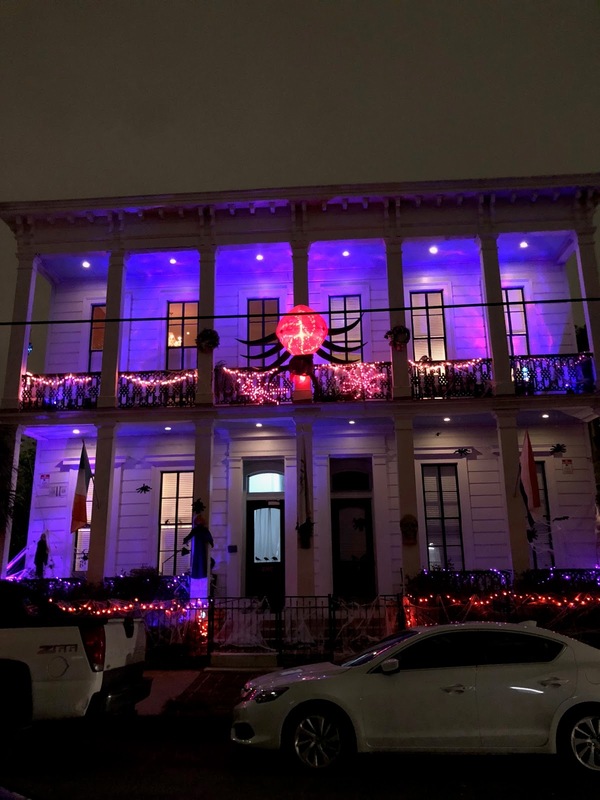 Ghost Manor on Magazine St.
Plan on visiting Ghost Manor located at 2502 Magazine Stat after sundown to witness one of the coolest light displays you will ever see. We took the St. Charles Street car back down towards downtown and got off at the 3rd St. and walked a 1/2 mile over to Magazine. The 2018 display showcased 4 skeletons who are choreographed (dancing, singing, etc) to a variety of songs. We were fortunate enough to see them preform Thriller. In between the skeleton acts, there are light shows in the windows. 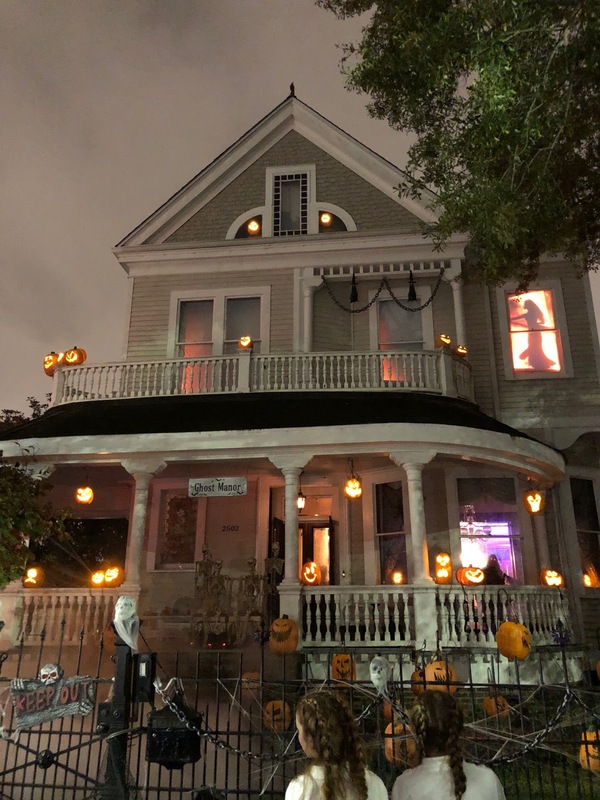 I honestly could have watched this house all night. All throughout French Quarter you will find houses decorated to the max. The weekend leading up to Halloween, you will find people dressed in Halloween costumes all through the Quarter. It was like a multi-day citywide Halloween party. 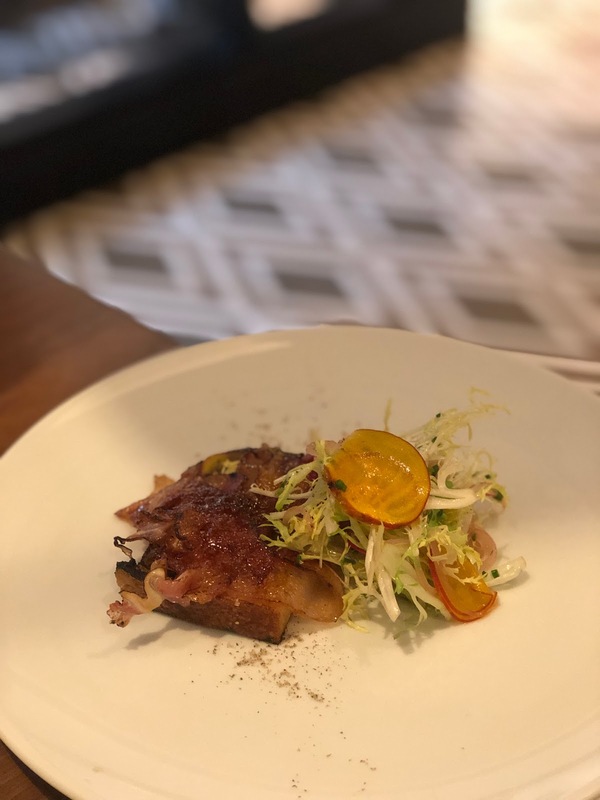 A variety of classic New Orleans restaurants host Halloween themed luncheons on the Friday leading up to the holiday. 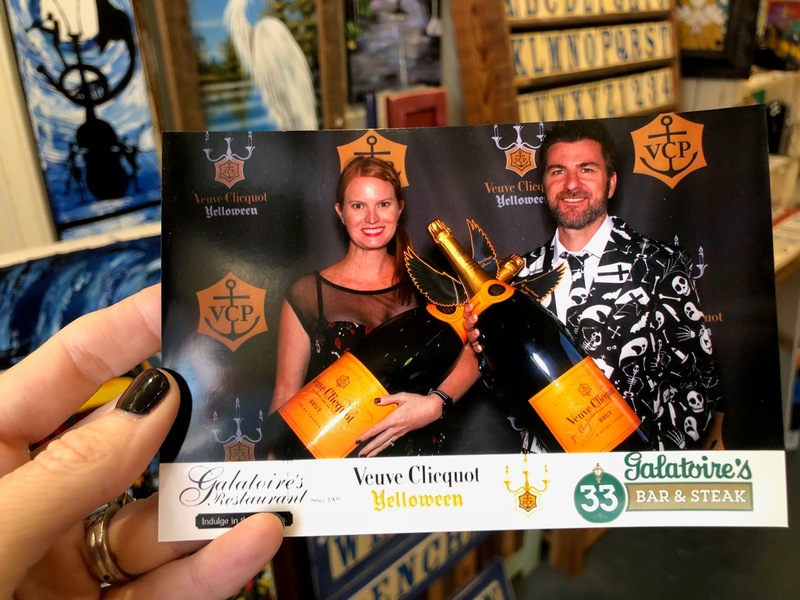 We scored a table for 2 at the iconic Galatoire's for their annual Yelloween party. 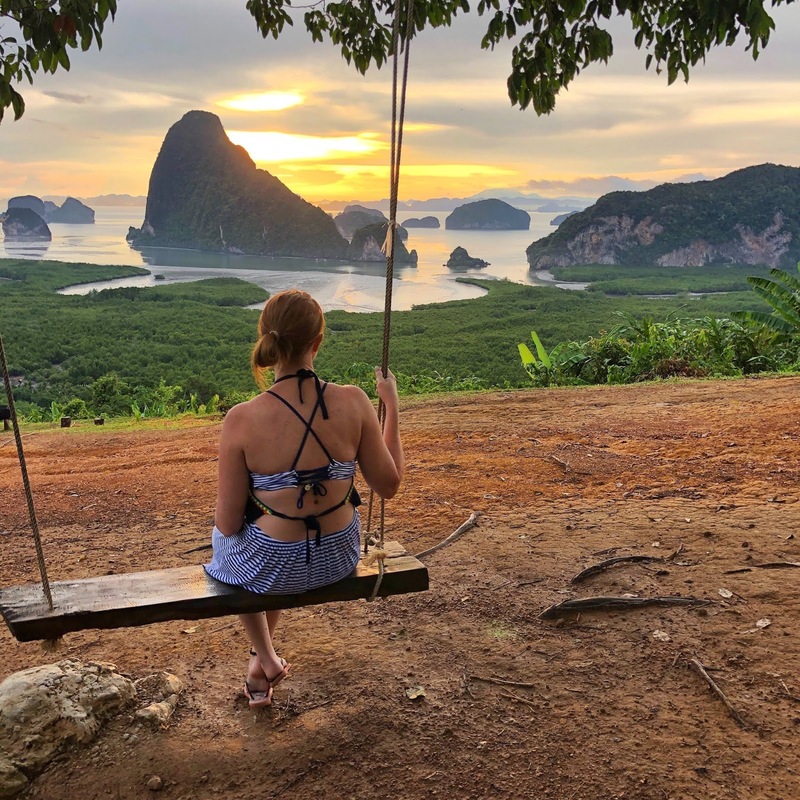 I wasn't prepared for what we experienced, nor am I able to fully describe it. Let's put it like this - the who is who from New Orleans come in well before opening time to decorate their tables. I am talking full themes and costumes to match. 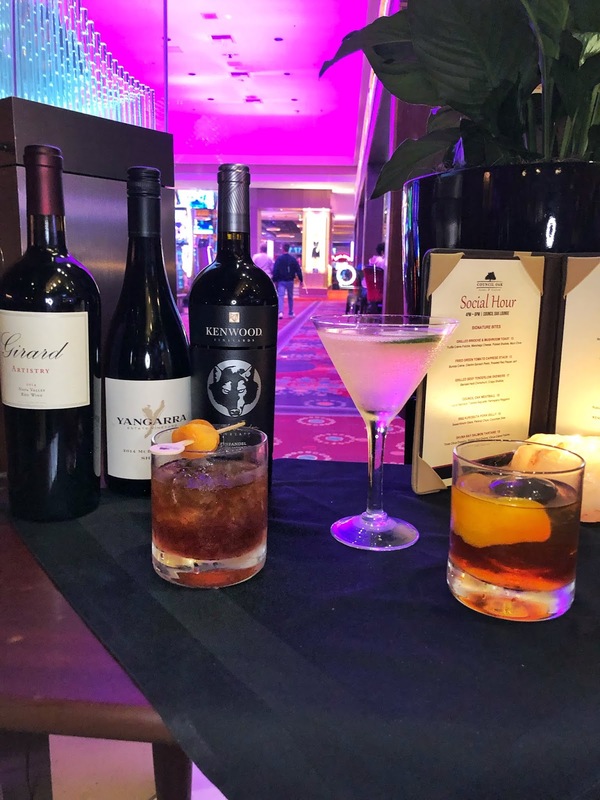 Our server told us the attendees typically spend all afternoon at Yelloween, sipping on Vueve Cliquot by the bottle or glass (they sponsor Yelloween). Since it was just the two of us, we decided to dress up in classy skeleton apparel. We stayed in this get up all day - and couldn't walk 5 feet without someone stopping Gabe about his suit. We didn't get a chance to attend Voodoo Fest as we flew home Saturday. However, the city was in full swing when we departed. 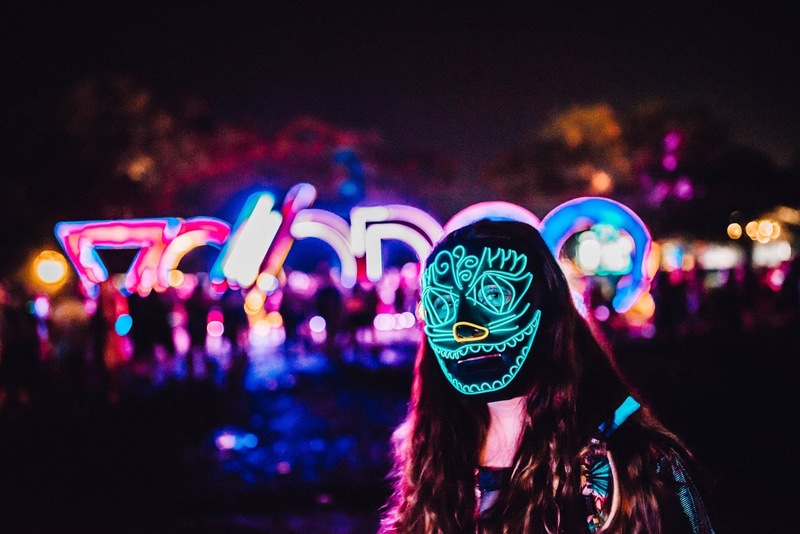 Next years festival will go from November 1-3 and Halloween falls on a Thursday. We already have plans on coming back next year and experiencing it all. The 2018 festival was a variety of music - from Mumford and Sons to Marilyn Manson. They'll be announcing the lineup soon for next year! 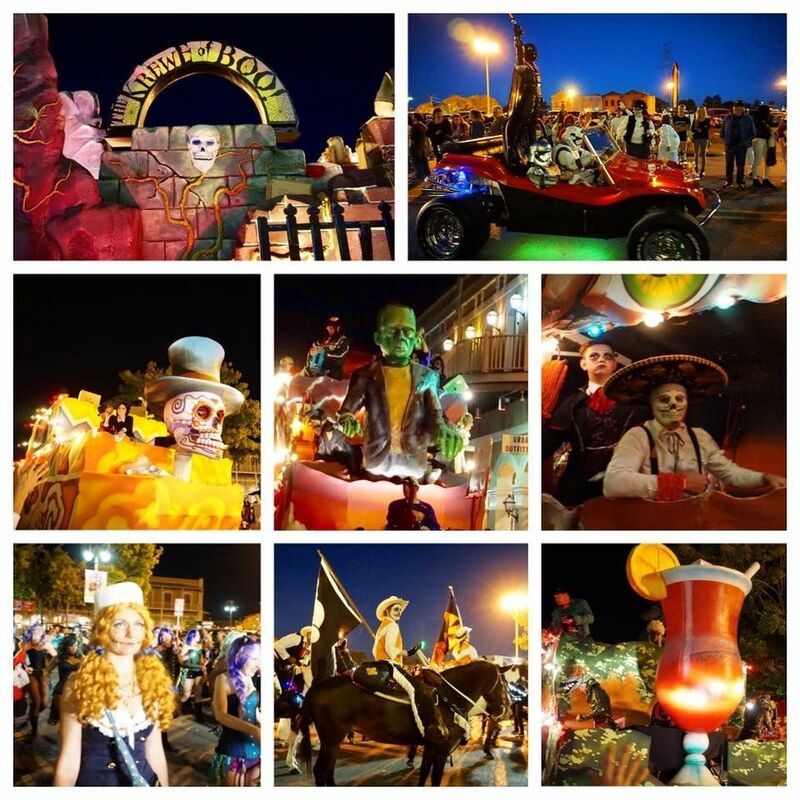 The weekend before Voodoo fest is a family friendly motorized parade called Krewe of Boo. As mentioned, we attended in 2016. It was really cool to see. However, coming from Tampa given the size of our Guavaween parade, I was a bit underwhelmed. Looks like we can beat NOLA at one parade! 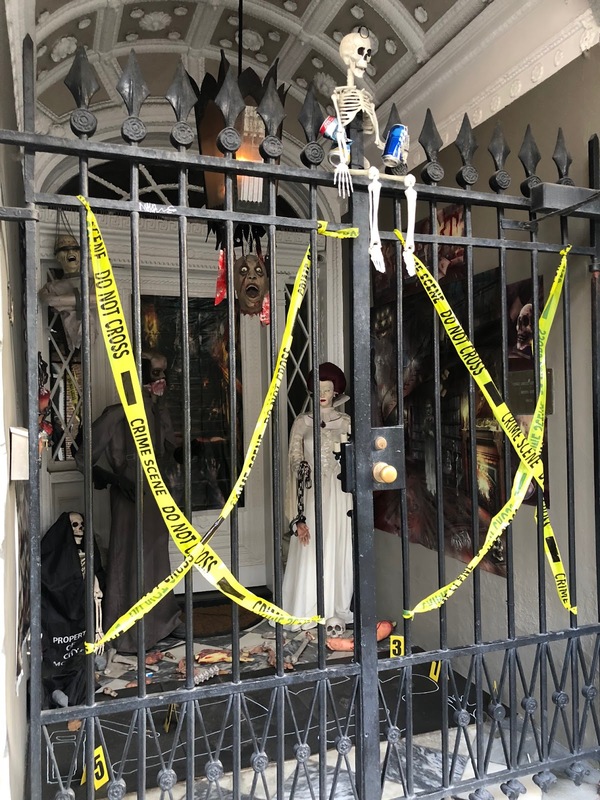 We absolutely loved spending time in NOLA during Halloween time and I would suggest it to all the fellow Halloween lovers out there!